We clocked out last year with many of NIS America’s titles on the site and of course we wish to continue covering their ever-so quirky games which often go hand in hand with sufficient humor and cute characters that manage to draw you in from the start. Today we’ll be able to present you with our findings of The Legend of Heroes: Trails of Cold Steel, which has already been out in Japan for quite some time, but truth be told, it was worth the wait. It seems we’ll have to go back to school for this one. You’ll play as Rean Schwarzer who is still searching his purpose in the Ereborian Empire, and hopes to find himself by enlisting in the Thors Military Academy, which is pretty much the finest institute in the entire empire. While it’s not that easy to be allowed into the academy, it seems luck is on Rean’s side. Nonetheless, during the train ride to the school, he notices he is the only one wearing a red jacket, while all the rest is clad in green. Luckily he runs into a few other people who share the same type of uniform, which proves to be a small reassurance that he is not the only one who looks different. When the classes are divided every class is instructed to follow their guidebook to see which is their assigned class, namely the nobles are assigned in class one and two (clad in white) and the commoners get class three to five. Only a select group, nine students to be precise, remain without further instructions when they are approached by instructor Sara who tells them they are part of a secret class that makes no distinction between nobility, status and gender and is not so aptly called class VII, while it’s only the sixth class. It’s clear from the get-go that this class will serve to create troops that see everyone as an equal, rather than look down or frown upon others. While the game progresses it’s clear that story is a big part of the game, as all of your classmates have very developed characters, which you’ll be able to ‘explore’ throughout the playthrough. Not only are the characters important, the game does its best to present you a world where there’s a huge gap between nobility and the regular populace, which is slowly getting out of hand as tensions are steadfast increasing. This is pretty much where class VII will come in handy, as they clearly have an affinity for one another. Thanks to this affinity you’ll receive the ARCUS device, which links all classmates to each other, but also allows you to communicate over longer distances and use special techniques. The story is presented in a fun way by the usage of many conversations and small cutscenes. You’ll see all of the characters grow and also slowly learn what’s amiss in the ‘real world’ outside of the academy. 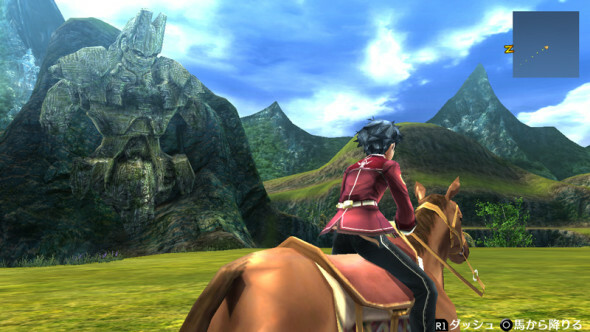 Graphically Trails of Cold Steel is very much like the other NIS America published games, as the characters tend to stand out a lot in their surroundings. While the overall surroundings surely look appealing they often feel a bit dated and deserted when it comes to clutter, filling and other characters. This becomes especially clear when roaming around on your free day with the pubs, stores, and other fun locations being almost deserted. Nonetheless, there are still a decent amount of sights to behold and environments to roam around in. Character models tend to be good looking, despite some of the facial features, which are animated in a rather choppy way. The Same can be said for how some of the characters walk, as they seem to be hovering above the ground, doing one of Michael Jackson’s iconic moves, rather than taking a leisurely stroll around the premises. Sometimes the text windows show the face of the character that is currently speaking, while other times they don’t. This is probably simply implemented when certain characters are removed further from the camera, making sure you can still see their facial expressions. Sadly, for some reason there seems to be no real consistency in this feature. All that being said, the overall freedom this game has to offer, in combination with some of the backdrops still makes this game pleasurable to the eye. Even though things might sometimes look a bit dated, the entire picture proves to be worth your while. As is the case with many of NIS America’s published games the music and sound quality is well taken care off. You’ll be treated to rather jovial tunes when roaming around in the different areas the game has to offer, but when a hint of battle lurks around the corner the music will immediately switch from soothing and pleasant to a more upbeat track, in order to get the blood pumping through your veins. While sometimes the music can be slightly repetitive when spending too much time in one area, it never truly loses its edge. The voice acting is very qualitative, but it is implemented in a very odd fashion. 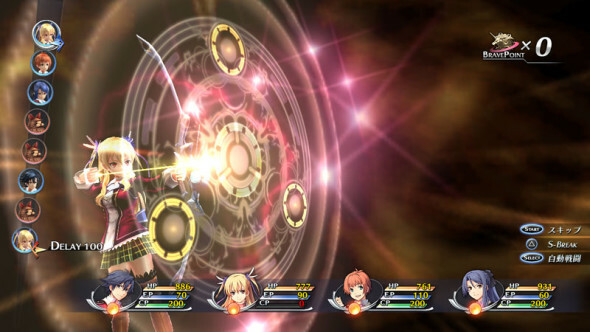 Many of the main events are fully voiced, and sometimes other random events are accompanied by proper voice acting as well. Nonetheless, it sometimes feels random, especially when during certain conversations other characters are voiced, but yours (Rean) suddenly loses his voice, which makes certain events rather awkward. 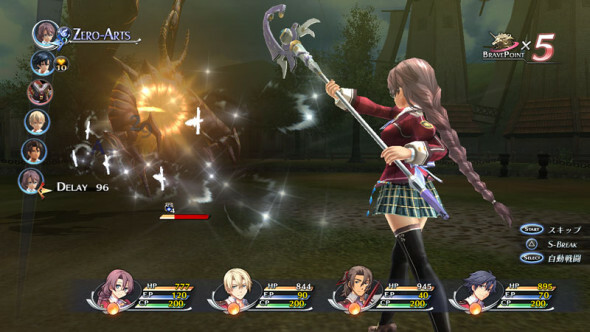 The Legend of Heroes: Trails of Cold Steel is a rather typical J-RPG game with some rather old-school mechanics yet enough unique quirks to make things quite interesting. 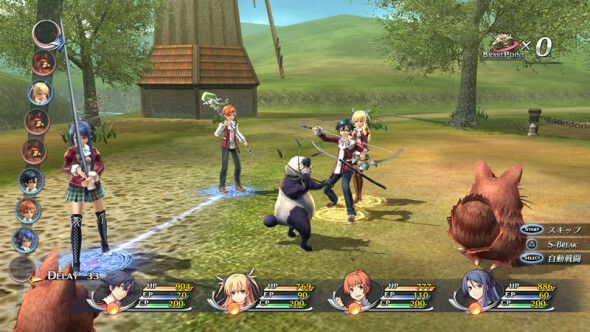 While many other games in the genre are often games where you’ll have to grind a lot to gain enough experience, Trails of Cold Steel has a more solid balance between story value and actual combat gameplay. This might not be ideal for everyone, but in reality everything feels as if it fits together perfectly. The things you do outside of the overall story cutscenes and conversations are often divided between running errands for those on campus and in the different towns you’ll visit and vanquishing monsters with the help of your (not always that willing) classmates. Errands are pretty much all assignments given to you by your principal for the student council (when on campus) and locals (when visiting towns). More than often you’ll see missions where you’ll have to find an item, deliver items, talk to certain people and of course make sure the environment stays safe by defeating rather annoying monsters that lurk in the vicinity. These quests will always prove to be rewarding, even though there are many you can simply skip because they are not mandatory. Nonetheless, doing the optional quests and looking out for the hidden ones proves to add a lot of extra content to the game, be it actual gameplay or a certain additional story content that truly adds those extra details to the mix. 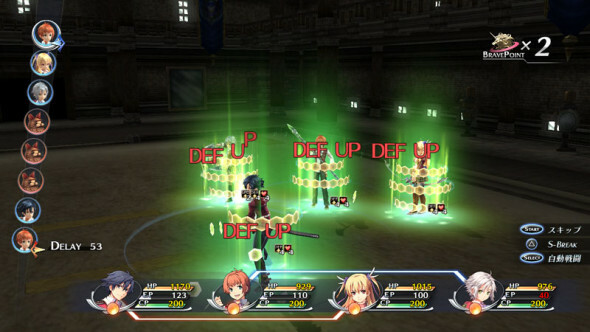 Combat in Trails of Cold Steel proves to be rather straightforward, for the most part. As you’ll see the monsters running around in the area you’re currently in, you can attack them from the back (before the actual combat phase) to stun the cluster that will appear when you run into it. If you stun your opponent(s) in advance you’ll gain the advantage and you’ll get to go multiple turns in a row, before your foe can finally retaliate. That being said, your enemies can also sneak up on you, granting them the same advantage. Nonetheless, during combat itself, everything will follow a classical turn based formula, where each of the characters can choose to attack, use Arts (spells), Crafts (different kind of spells), items, move around and run. As many of your characters have different weapon types as well as different affinities to elements, it’s wise to check the details of your enemies to see what type of attack will cause them the most harm. Of course, the further the game progresses, some special abilities get unlocked as well, which tend to do massive damage but deplete your CP (crafts), thus you’ll have to choose wisely when going for a burst of damage. Like in many games, partnership among team members is rewarded, and in this case it is by forming links in pairs, during combat. When you successfully pull off an effective attack or score a critical hit, your linked teammate will be able to add some extra damage to the last attack, by assisting (and later on more options will be available). Links get stronger the more you use them and of course, the more you gain acquainted with each other, by doing bonding events. These bonding events occur during your ‘free days’ on campus, when you’re actually running errands for the student council. Sometimes there are other days to form better bonds, or books that can be shared to tighten relations, but you’ll have to be picky on who you wish to bond with first as bonding points are rather scarce. The ‘Arts’ mentioned earlier are actually spells that can (mostly) be given to all of your team members by the usage of different kinds of Quartz. These Quartz can be inserted in your ARCUS device, granting you new abilities, be it active or passive ones. Of course, your ‘main’ Quartz will be rather unique, and gains experience as well, granting you more boosts, such as HP, passive effects at the beginning of combat and so on. Overall, it’s important to keep track of all the different Quartz you find during your journey, to keep your allies strong enough to endure the coming fights. Even though your character(s) can equip different types of gear, the entire gear system has been kept quite simple, as there is already enough to worry about. You’ll be able to customize your weapons, but other than that, things are pretty straightforward, as you’ll only be able to equip a vest, boots, your weapon and two accessories which will grant you some stat boosts. Those who wish to pass their time doing a few extra things outside of the questing and story system can have some fun collecting different recipes for cooking dishes, enjoy themselves when fishing and gaining points for it or simply play some extra matches of the ‘Blade’ card game the developers inserted to bond with your fellow classmates (only during train rides though). These small gimmicks prove to add another small layer to an already rather filled game. While pretty much everything of the game works as it should and plays enjoyably, there are a few minor setbacks that might make the game feel dated or a bit more tedious than one would like. For example, some of the loading times tend to be a bit long, especially those for combat sequences, while fast travel however proves to be rather quick. Those playing the Vita version will notice that you can save your progress everywhere, except during story sequences, which is overall quite a useful feature when you’re on the road, but some of these sequences tend to last very long, which might make things a hassle if you’re playing on the road and you only have a few minutes to spare. Other small glitches are more along the lines of ‘invisible’ walls which might grant you a disadvantage in combat when you bump into one and get attacked from the back. 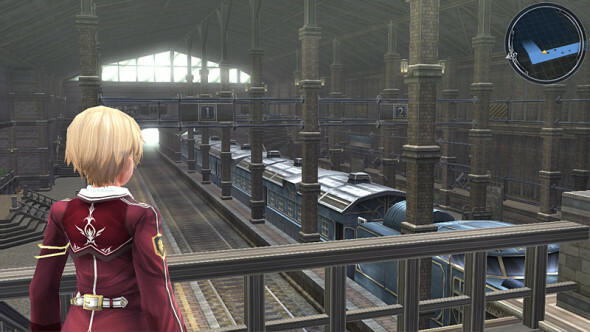 The Legend of Heroes: Trails of Cold Steel might invoke a small Final Fantasy Type-0 HD vibe, but eventually proves to be very different, as Trails of Cold Steel decides to go with a lot more character development and presents a slightly less grim world. You’ll be able to go through heaps of content as it will already take you hours to finish one chapter and there are six to wade through (not counting the prologue and the final chapter, which also consume plenty of time). Simply put, decent combat, a fairly big world to explore, fun quirks and above all story value and great character development are what make this title top of the class.